The first evening at the International Food Blogger Conference was a blast. I’m making so many cool new friends, Morgan Spurlock was brilliant, the food (and swag! oh, the swag!) are fantastic, and the energy is, well, electric. I could barely sleep. I said something completely uninteresting like, “lower fat, lower sodium” blah blah. Bad answer. She looked really disappointed. For the moment, at least, that’s my best answer. 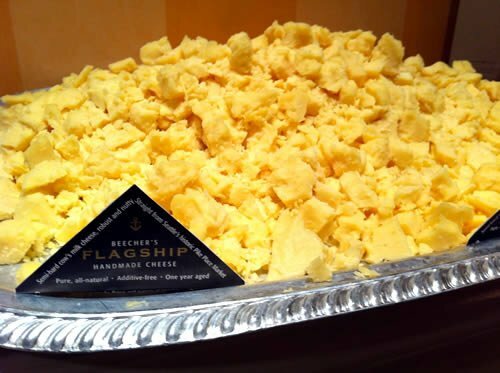 Pictured above: A huge pile of Beecher’s Flagship Cheddar, made just down the road at Pike Place Market. Critical for emotional well-being. 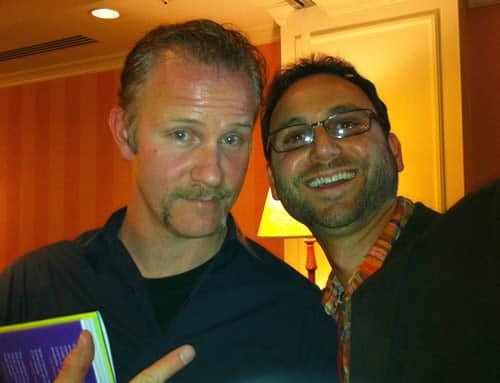 Pictured below: I chatted with Morgan Spurlock for awhile about a project I’m working on (re: healthy food & Boy Scouts — more on this soon!). His coolness rating goes to eleven. Andrew, if it makes you feel any better I met Lael and gave her a similarly unrefined answer about what I write about! Hahaha! Thanks, that does help. 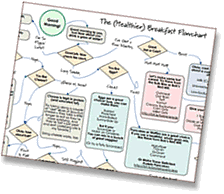 …and my “Elevator Pitch” has gotten much more refined in the last 48 hours, that’s for sure!